"The National Junior Golf Association is built to offer an opportunity for junior golfers to participate in a competitive, affordable and friendly environment. Our tournaments offer opportunities for junior golfers to build their character, gain recognition from college coaches, and establishes values that are only found in the sport of golf." The National Junior Golf Association (NJGA) has been in operation since 1999 providing affordable and competitive junior golf tournaments to both our members and guest. Our playing area covers several parts of the South East. We are very fortunate to play at some of the best courses the South East has to offer year round. Summer is by far the best season to play golf with tournaments being played almost every weekday. We proudly host over 70 junior events every year. Our favorite event of the year is the NJGA National Championship. This two-day family event is played on the sunny beaches of Myrtle Beach, South Carolina. The day before the two-day tournament begins, we hold our annual father and son tournament. This is held on the same course our National Championship is being played. This is the only NJGA event were all junior golfers are allowed to have caddies. It is invitation only, which makes this the tournament everyone wants to be in. This is a prime opportunity for families to enjoy and get out of the neighborhood for the weekend. Allen Wiggins is the owner and Tour Director of the NJGA. Allen's love for the sport of golf started in Junior high where he played for Hunter Huss located in Gastonia, NC. After high school, Allen went on to develop a painting company called A&J Painting. While continuing to own his painting company, Allen purchased the National Junior Golf Association in 1999. Allen quickly developed a love to help kids develop a great career in golf. Hosting the tournaments and seeing kids of all ages come out and have fun influenced Allen to take the tour to another level. His love of helping juniors is not just on the golf course, Allen has been on every position available on the board for the Boys and Girls Club for over 23 years. He also has been with the Optimist for 29 years and has served as President and Lieutenant Governor of North Carolina West Optimist District. He is an elder at Robinson Memorial Presbyterian Church and has been a part of the session for the past 6 years. Victor Wiggins is one of the tour managers present in the National Junior Golf Association. He is one of Allen Wiggins three children and has a love for the game of golf. He started playing golf at the age of 4 and by the age of 6 he was playing on the NJGC (now called the National Junior Golf Association.) Victor had an outstanding Junior golf career which led to many college choices to choose from. He committed to Auburn University and after one year of playing golf there, he decided to come back home and play for UNC-Charlotte. During his 2 years of college golf at UNCC, he led his team to win their 2015 Regional Tournament and earn a spot at the NCAA National Championship. After his college golf career, he decided to turn pro. Victor is now a PGA Tour Latin America Card Holder. He will be helping with the NJGA while continuing to pursue his professional golf career. Patrick Wiggins is one of the tour managers present in the National Junior Golf Association. He is one of Allen Wiggins three children and has a love for many sports, especially golf. Patrick has played a lot of sports growing up but coming from a golf family, golf became the priority. He started playing golf at the age of 6 and it never left. At the age of 9, Patrick became the 2009 Drive Chip and Putt National Champion. For high school, he attended Highland School of Technology and was on the golf team under the Head Coach, Marty Hutchins. He had an outstanding High School golf career where he attended all four regionals, two state appearances, and 3 time MVP. Currently, Patrick attends Gardner-Webb University is on the Men's Golf team for the Running Bulldogs. Sam Hughes is the tour College Adviser present in the National Junior Golf Association. Sam coached Victor at UNCC during the 2015/16 season where he first saw the work that Allen and the rest of the Wiggins family put in to developing and growing junior golf nationwide. Sam says “The NJGA schedule allows the young student-athlete the perfect opportunity to be observed and recruited by the top colleges in the USA”. 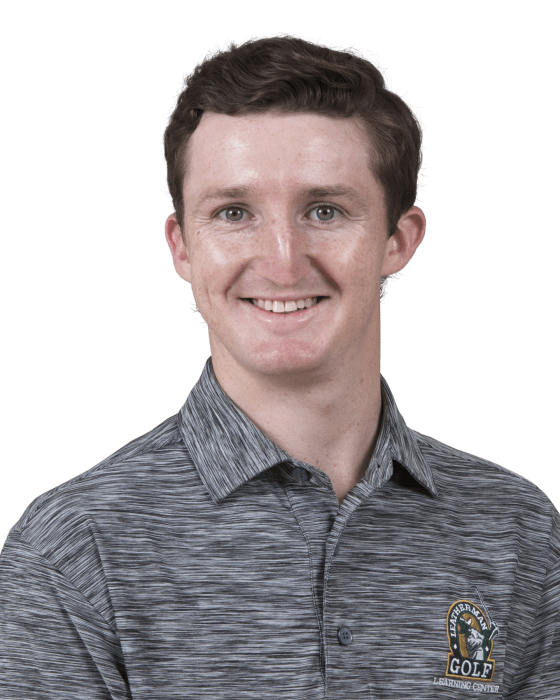 Sam is a PGA Professional who is based at the Marc Lapointe Golf Academy at Fort Mill Golf Club and has many years of experience in successfully developing young players in his former role as Lead Performance Coach with the England Boys, South West Squad and also Assistant Men’s Coach at UNC Charlotte. His knowledge has benefited Tour Pros, Elite amateurs, and division 1 College golfers. This has led Sam to work with players who have won National, International and Tour titles that have represented their Country and Continent competing in both the Walker Cup and Ryder Cup. Martin Hutchins is the tour High School Program Coordinator present in the National Junior Golf Association. Martin graduated from Belmont Abbey College then went to college at East Carolina University and graduated from East Carolina University Educators Hall of Fame Class of 2015. Martin has coached Ashbrook High School Track 2001-2005 Shot Put- Discus and he also coached women and men’s high school golf team. His accomplishments as a High School Coach are 3-time Big South Conference Champions, 5-time SPC Coach of the Year Boys/ Girls Golf, 3-time NCHSAA Men's 1-A Individual State Champion, 2009,2010,2018, 2019 Coach of the Year- North Carolina Golf Coaches Association. Martins other achievements in the golf world are Head Coach Women's West 2016 Tarheel Cup Champions, Assistant Coach Women's West 2017 Tarheel Cup Champions, President - North Carolina Golf Coach's Association 2017-2019 NCHSAA Golf Advisory Board, and he is a currently a Carolinas Golf Association Rules Official-2014- Present. Jim and Tracy Williams joined the NJGA Staff in 2007 running junior tournaments in the Charleston, South Carolina area. They now reside in Lexington, SC and manage junior tournaments in the Columbia area. Jim is a PGA Golf Professional and has been a member of the PGA since 1994. He is currently the Head Golf Professional and Instructor at The Caddy Shak Driving Range in Lexington, SC. Tracy is currently an elementary school teacher but is usually present on tournament days.